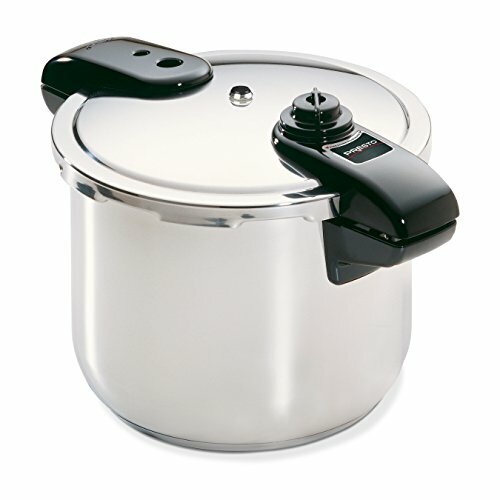 Pressure cookers come in different sizes, types and shapes from various manufacturing brands. While some pressure cookers are cheap, others are highly priced. A high-end pressure cooker may be your best choice compared to cheaper ones. There are several reasons why you should choose an expensive pressure cooker, as matter of fact; they are more durable compared to cheaper alternatives. High-end pressure cookers are usually made with the best materials, moreover, they undergo a thorough manufacturing process that ensures that they last longer than cheaper ones. Have a look at the pressure cookers below and see if you can find one that fits your cooking demands and needs. 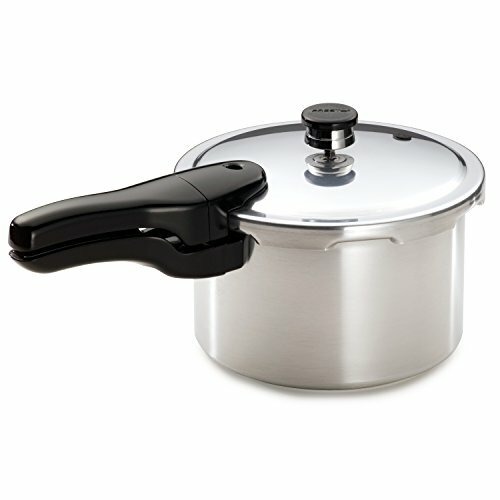 This pressure cooker contains hand-cast aluminum with an attractive satin finish that is easy to clean. The aluminum material also facilitates fast and even heating. 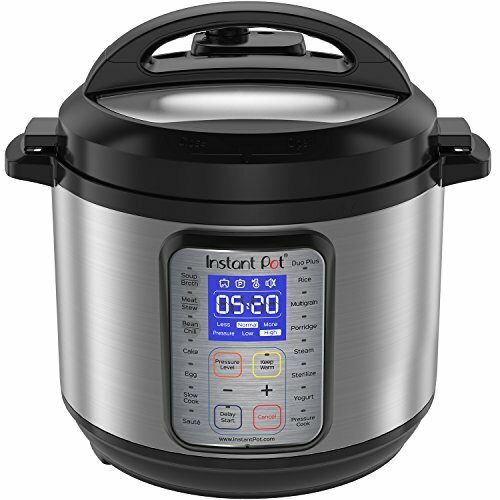 Additionally, the pressure cooker features a metal-to-metal sealing system that ensures that no steam escapes from the sides. Also, the sealing system eliminates chances of replacing broken, hardened or cracked gasket. It has special clamping wings that allows you to easily open and close the lid. At the top of the cover, it has a phenolic handle that can hold the total weight of the cooker without breaking. 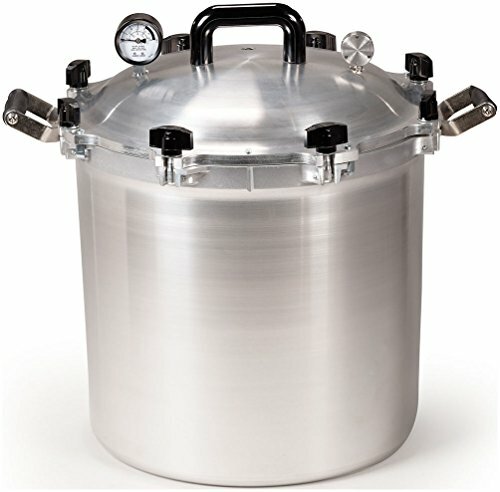 You can expect the cooker to hold 19 standard regular pint jars or approximately 14 standard mouth quart jars.It has a pressure regulator weight with three distinct setting for different types of food which include 5 PSI, 10 PSI or 15 PSI.The American 411/2 –quart pressure cooker canner is suitable for canning fish, vegetables, meat, and fruits. 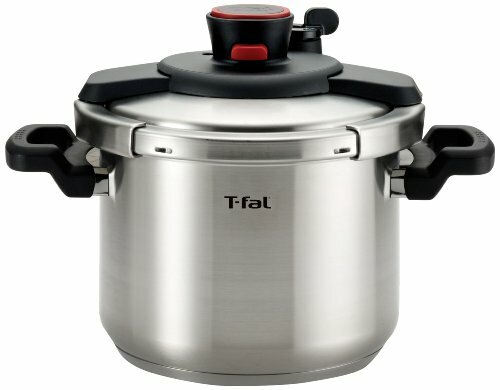 Overall, here is a fantastic pressure cooker with many awesome benefits that include durable heavy gauge aluminum construction, large capacity, different pressure settings for various food types, very easy to clean since it has a satin finish and you can use the cooker on electric or flat top stoves. 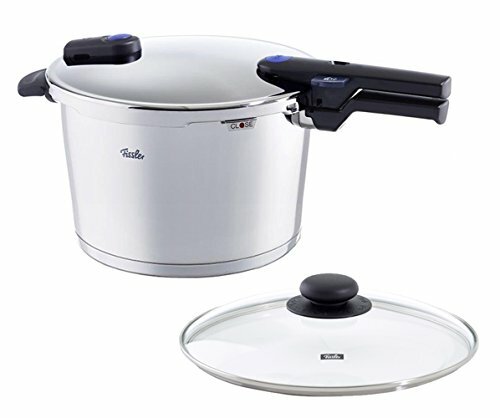 Kuhn pressure cooker contains both aluminum and steel metals that give it strong and rigid qualities, therefore making it extremely durable. Even after prolonged use, the pressure cooker does not lose its glossy finish, rust or even dent. It has a special lid locking feature that allows the lid to remain intact until it is safe to open it after all the steam escapes. It also has a safety release backup system for emergency purposes. This cooker uses less amount of water in cooking which helps food retain nutrients and minerals. Additionally, the inner side of the cooker contains marked measuring points that allow you to add the required amount of water with ease and eliminates chances of making errors. You can use the cooker on all kind of cooking tops, such as gas or electric tops and this cooker is suitable for making vegetables, meat, pulses and rice.Overall, this cooker includes superior safety features, is durable and extremely easy to operate. The Kuhn Rikon is among the best-selling pressure cookers on the market today and current users are very happy with their cooking results. Our next pick is another Kuhn Rikon and here we have a quality cooker with solid aluminum at the bottom that allows fast absorption of heat and provides excellent cooking experience every time you decide to cook delicious and healthy meals, even after prolonged usage. When cooking meat, the solid aluminum core makes it turn brown. 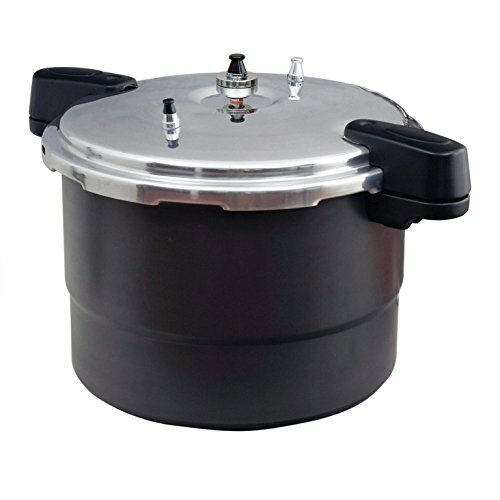 The Kuhn Rikon pressure cooker has a capacity of 12 quarts, and it is capable of holding 7 pints or 5-quart jars during canning.The cooker has an automatic locking system that keeps the lid tight and reduces chances of the lid flying open when the pressure is high. It has five-over pressure safety systems for releasing excess steam. In summary, this Kuhn Rikon features durable stainless steel construction with solid aluminum core at the base, many safety-features and is suitable to use on any cooktop as well. Our next pick contains FND touch display which is orange in color. The display command is available in English and Korean and it recognizes voice navigation commands in Korean. The cooker has a pre-designed menu setting for cooking various types of white rice such as regular, soft or hard and is also suitable for making porridge. One of the best features of this cooker are its coating of the inner pan that helps to maintain a warm temperature and save energy. With the keep-warm function, the cooker can be set to maintain a warm temperature in order to retain nutrients and vitamins from the meal. This unit is also a rice cooker that allows you to make white rice dishes (regular, soft, hard) and porridge. Additionally, it includes pre-designed settings that help you to cook healthy and tasty meals. The Cuchen Black includes everything you need in a pressure cooker and even though it is listed in the high-end category, it is very reasonably priced compared to all the fantastic functions it offers. The Zojirushi has multiple safety features that include pressure control valve that controls the level of pressure during the cooking process. In case the pressure release valve malfunctions or becomes clogged, the cooker releases excess pressure through the safety valve. Pressure builds up inside the pot when cooking, which activates the pressure indicator on the control panel and locks the lid. That way, you can always monitor and know the pressure inside the pot while you cook. The colored control panel is easy to read and it displays important menu settings that give users all the cooking information. Therefore, you can eliminate all the guesswork and deliver tasty meals every time you cook. The inner cooking pan contains a nonstick coating infused with platinum particles. When water comes into contact with this material, it is alkalized. Alkaline water can break down the protein on the surface of rice grain for tastier and healthier results. That said, the Zojirushi cooker is suitable for cooking varied types of rice that include, brown rice, sushi rice, and mixed rice. It is also suitable for making porridge. Overall, here is easy-to-use, thanks to its elaborated menu settings and easy to clean pressure cooker that runs on electric power. Additionally, the fantastic LED light makes this cooker a stylish kitchen appliance. Our next pick is the highly-rated Buffalo stainless steel pressure cooker that is suitable for those who want to make varied types of food ranging from stewed pork knuckles to beef briskets, and everything in between. It fits all stove types and can be used on gas, electric stoves, and induction cookers. There is a pressure indication valve that allows users to monitor the level of pressure. Monitoring the level of pressure is crucial since different type of food requires different levels of pressure. It also has a rubber ring on the inside that seals the space between the lid to allow pressure to build up. When the pressure is high, the cooker releases it automatically through the pop-up valves and the jigger. This unit has an emergency pressure release device that helps prevent injuries, burns or fatal hazards. The cooker has a safety lock along the handles that helps the lid withstand high pressures, therefore eliminating its chances of flying open when cooking. Overall, the Buffalo cooker is constructed using stainless steel that is durable, easy to clean with a faster thermal conductivity that results in reduced cooking time. Moreover, it features automatic over pressure release. It is safe to conclude that the Buffalo provides fantastic quality, efficiency and value for your buck. As we did mention above, advanced pressure cookers are more versatile than cheaper alternatives. Therefore, buying a cheap pressure cooker is like buying an ordinary cookware because cheap cookers are usually very limited in functionality. On the other hand, expensive pressure cookers provide a wide range of functions and can be used for several forms of cooking. It goes without saying that you get more for your buck if you invest in a high-end pressure cooker instead of a budget cooker. Moreover, you cannot expect the same qualities from a pressure cooker that is priced well below 50 dollars as with a high-end unit. On top of that, high-end pressure cookers are designed to provide even healthier results than cheaper units. The type of materials used for their construction ensures that they are suitable and safe for cooking. This is not always the case with cheap pressure cookers which may be made with substandard materials which will make them do more harm than good in the kitchen. Energy-efficiency is another factor to consider if you are planning to buy a pressure cooker. 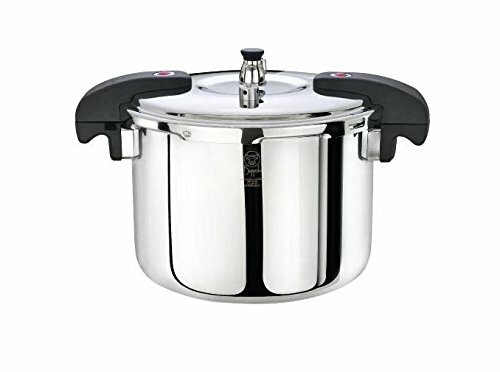 Even though you have to fork out more money for a top quality pressure cooker, they are usually more energy-efficient compared to cheaper ones because they are well made and constructed with materials of higher quality.Each time a pressure cooker is operated, substantial energy is used. Therefore, advanced and well-constructed pressure cookers use less energy than cheap ones. In other words, buying a cheap pressure cooker is more likely to cost you more money in the long run. Therefore, it may be better to invest in a little more to ensure that you end up with a pressure cooker that offers value and safes energy. 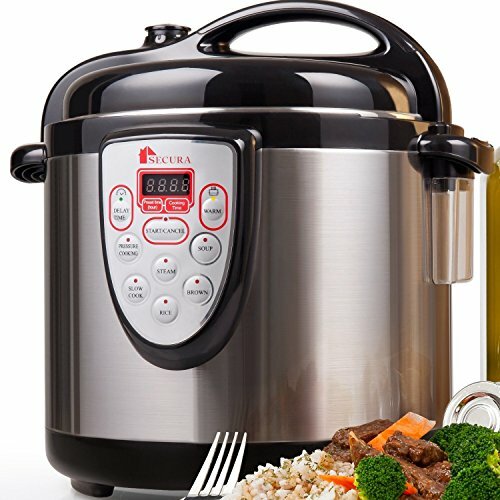 When shopping for pressure cookers, there is no reason to purchase a cheap alternative which would most likely be poor quality compared to a high-end pressure cooker. Advanced pressure cookers deliver the promise of pressure-cooking more efficiently than cheap ones. Pressure cooking is about saving time, energy, conserving food nutrient and taste. There is no point buying a pressure cooker that cannot deliver on these promises. Advanced pressure cookers come at a higher price but save more cooking time, thereby ensuring that you have more time to concentrate on your daily pursuits. Furthermore, only advanced pressure cookers can deliver the promise of cooking without loss of nutrition, this is why it is highly recommended to always go for pressure cookers that have ahigher value. Moreover, advanced pressure cookers feature all the required safety functions that ensure that they are safe to use. Safety is an important factor when choosing a good pressure cooker. This is why it is rather advisable to buy a pressure cooker that is pricey but safe.